House of Nagh'reD presents the monthly May'Qep Event! Warriors! Hear the call for battle! Starting this Sunday, 3rd of June, the House of Nagh'reD will start hosting a montly event on the first Sunday of every month, filled with KDF-themed ingame activities! We will do something different every month, but this month we'll do a host of various PvE activities! Not only will we have a great time fighting side by side, but there is also a chance of winning some SWC's! 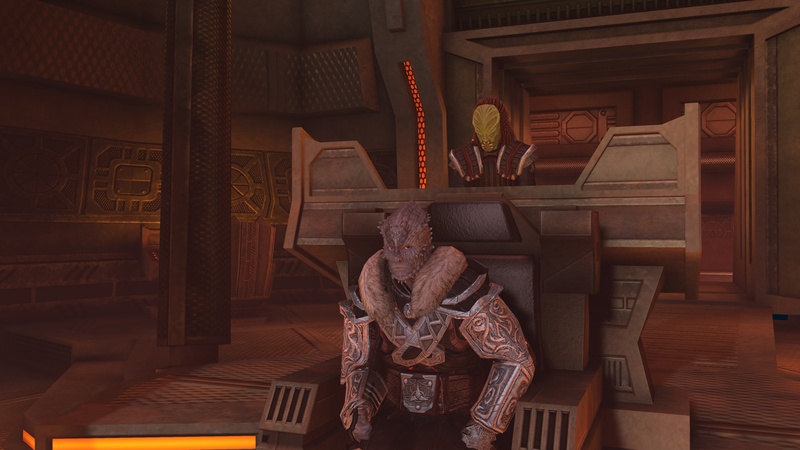 Some SWC's will be raffled (you will join the raffle simply by joining the event) and some SWC's will be given to warriors who fight with honour and glory worthy of Kahless himself! Also join us on voicechat on Discord! Even if you don't have a microphone or don't like to talk, you're still welcome to listen and (if you want) respond in the ingame SFEvents channel! (To join the ingame SFEvents channel, copy paste the following command in your chat and press enter: "/channel_join sfevents"). Check here to see how to join Discord. So hear, my fellow warriors! Hear the call for battle and join us this Sunday at 17.00 UTC/13.00 EDT! Warriors rejoice for we battle together soon! The I.K.S. Dyson will answer your call! IKS Kuve’kai will be there! 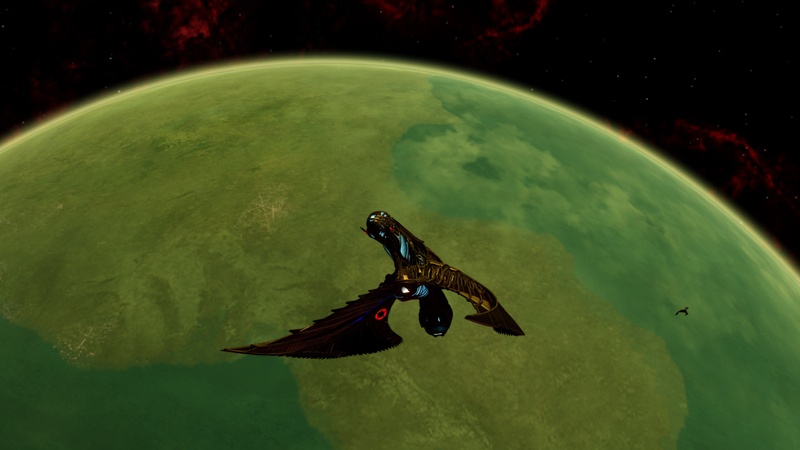 Are the Empire's Romulan allies welcome, or is this a Klingons-only party? Yes, our Romulan brothers and sisters have proven themselves worthy to fight at our side! And once the alliance with the Dominion is in place (read: Victory is Life is released) we look forward to fight alongside our Jem'Hadar allies as well! In that case, the RRW Atreides will deliver death unseen to the enemies of the Empire. Starting this Sunday (2nd of September) we will continue the Monghtly Nagh'reD event again! This time we will be levelling our warriors! So if you have any Klingon or KDF-aligned Romulans that aren't level 50 yet or are planning to make a new KDF character, this is your opportunity to give them a boost in levelling! Sharpen your bat'leths! Calibrate your cannons! Prepare your gagh! For this Sunday (the 2th of the December) the House of Nagh'reD will go into battle! Us worthy warriors will gather on Deep Space Nine at 18.00 UTC/13.00 EST! Qapla'! QaleghneS, warriors of Nagh'reD! Gather your ships! For it is time for battle again! This Sunday (January the 6th) Nagh'reD will hold a space PvP match... in T1 ships! We'll start with a 1vs1 tournament and end with a massive PvP battle! Your character needs to be KDF or KDF-Aligned. We will gather at the Fleet Starbase! I'll unfortunately have to bow out due to work this week, otherwise I'd be there with bells on! This Sunday (3rd of February) it is time for a new May'Qep! Come join us in the First City on the plaza where Worf usually stands! This time we will be levelling our lower level characters again. So if you any KDF's or KDF-aligned Rommies that need levelling, come join us! Jem'Hadar and other max level toons are of course also welcome to join! @rurinnfane, this is the monthly event I mentioned. For March's May'Qep event, which lands on the 3rd, I want to invite all of our honourable Nagh'reD warriors to my raiding party! To strive forward you must not forget your past, so I implore, you honourable warriors, reclaim your "Birds Of Prey" (/Raiders) and join me out on the battlefield! The Federation need some help defending one of their starbases from rogue Klingon factions...I could care less about their starbase however I will not pass up the chance for battle! Then if you lust for battle has not been sated at that point then we will go fight elsewhere until you have had your fill! Meet me in orbit of Qo'noS, KDF aligned allies are welcomes and encouraged. P.S. Heres a google calendar link for the event! Apple Users (iMac, iPad, iPhone) and also Windows users (Outlook) can subscribe this iCal /vCal calendar via the link below.